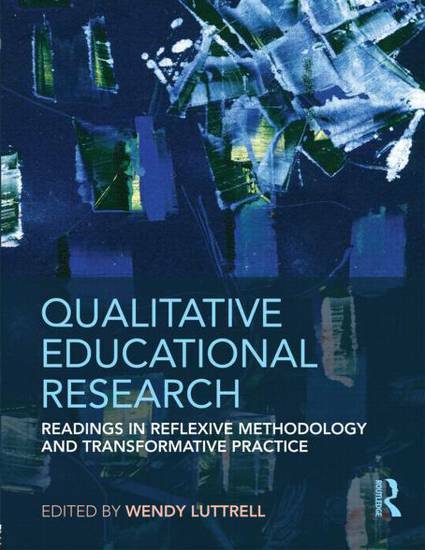 Qualitative Educational Research is a comprehensive anthology designed to deepen education students' thinking about their qualitative research purposes, questions, and decision-making. Focusing on various epistemological, intellectual, and ethical conflicts in doing social analysis, this invites researchers-in-training to explore why, from what perspective, for whose benefit, and with what stakes are research questions being posed. Drawing from her wealth of expertise executing and teaching qualitative research methods, scholar Wendy Luttrell has selected essays that focus specifically on the challenges of qualitative inquiry as they pertain to the field of education. These essays present multiple paradigms and perspectives in qualitative inquiry, including interpretivism, critical theory, cultural studies, feminist theories, critical psychology, and critical race theory. Reflexive writing assignments at the end of the volume expand readers’ understanding of the essays and guide students through developing their own research design.